And a staff of specialists in electrical engineering, education, technical support, marketing, and administration. Based in Scottsdale, Arizona in the Scottsdale Airpark technology hub, where both emerging and well-known research and technology companies are booming. 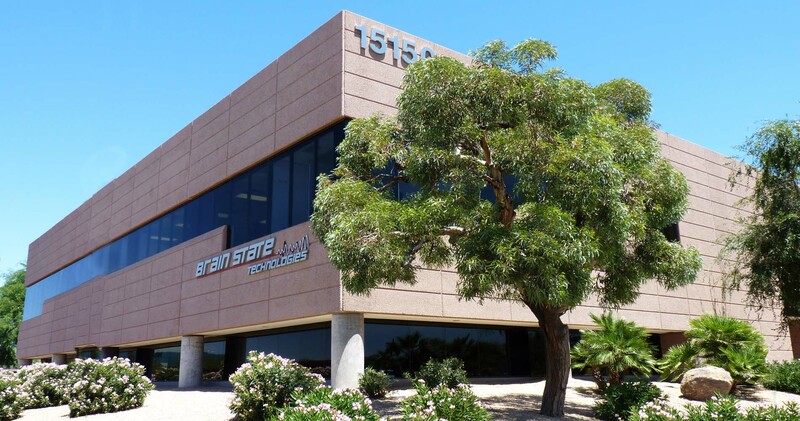 The Scottsdale facility includes a technology research and development center, an information technology management center, an education center and the only corporately owned Brainwave Optimization client service center. Brain State Technologies supports an international network of providers with more than 40+ certified providers in 9 countries. Licensees receive all hardware, software and ongoing tech support services required to launch a certified operation. All licensees are fully connected to Brain State Technologies for both data synchronization and automatic reception of software updates. Brain State Technologies has collaborated with Wake Forest School of Medicine Department of Neurology since 2011 to conduct research funded by independent third parties and has consulted with other leading educational research centers. The company was also awarded a grant (2014-2015) from the United States Army Research Office to develop technology for regulation of circadian rhythm for sleep and performance. Later that year, a retail version of the portable device, the BRAINtellect® was successfully launched.